Rapper and record producer Soulja Boy was recently involved in a frightening car accident caused by mudslides in California. The accident happened on Saturday, January 5, when torrential downpours swept southern California just before the Golden Globes ceremony in Los Angeles. Few details about the accident are available; however, it appears that Soulja Boy was uninjured. The rapper tweeted that his car got stuck in the mudslide and “almost went into the ocean.” Later, he explained that his car was still stuck in the flood/mudslide, but that he’s just thankful to be alive. “I don’t care about the car it’s materialistic, you can’t take it with you when you’re gone,” said Soulja Boy on his Instagram page. The City of Malibu published several safety warnings on its website in the wake of the flash floods. Residents and motorists were urged to exercise caution. They were warned to watch out for mud, rocks, and debris cluttering the roadways, particularly in the canyon and burn areas. Part of the Pacific Coast Highway was closed to traffic because of the flooding, and part of Mulholland Highway was closed because of the mudslides. Landslides and mudslides can cause injury in a number of ways. Injuries may be inflicted directly by the rapidly moving debris. Injuries and illnesses can also occur due to broken electrical, gas, water, and sewage lines that may be swept up in the mudslide. Further complicating the problem is the disruption to local transportation, which may affect the movement of patients to nearby hospitals. California residents are strongly urged to stay aware of the risks of mudslides during periods of intense rain. Avoid driving or walking near areas that may be subjected to landslides, such as areas along the canyons. If you do become trapped in a mudslide, get out of the path of debris as quickly as possible, and then get to higher ground. If you or a loved one has been injured in a car crash due to heavy rains or mudslides, you need to take action right away to protect your legal rights. Other drivers may be held negligible for reckless actions, or municipalities may be at fault for defective design or maintenance of the roadways. Let the car accident lawyers at Ellis Injury Law put our extensive investigative resources to work on your behalf. 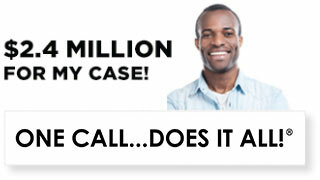 Call us today at 888-744-0191 for your free case consultation. 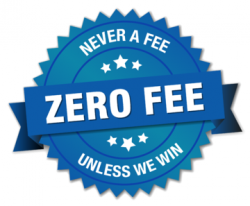 We never collect a fee unless we secure compensation for you. 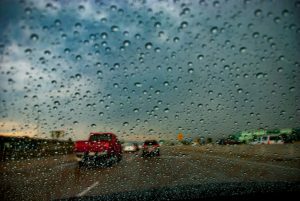 Last week’s storm system and heavy rains hit southern California hard, causing an extraordinarily high number of traffic accidents. According to the California Highway Patrol (CHP), an astonishing 365 accidents were reported in Los Angeles County between 5 a.m. and 9 a.m. on Thursday, November 29, more than four times as many as occur when conditions are not wet. The high number of accidents were undoubtedly exacerbated by the rain-wet roads, the fact that many residents of the Los Angeles area are not used to driving in heavy rain, and the timing of the storm, which hit during peak commuter hours. 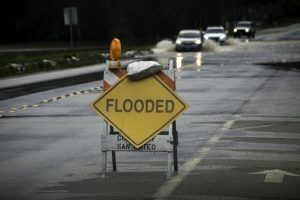 If you crashed during the heavy rains in southern California last week, may sure you take full advantage of the compensation that is owed to you for damages, losses, medical bills and lost work time. 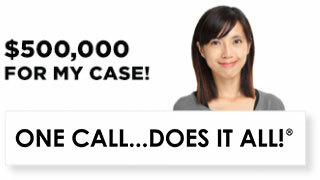 Call an experienced LA car accident lawyer at Ellis Law Corporation today! The CHP and local police issued multiple bulletins throughout the day on Twitter and other social media, reminding drivers that wet conditions don’t cause accidents – how people drive in wet conditions do. Motorists were urged to drive slowly, use their lights and wipers, and be extremely cautious vis-à-vis other drivers. In addition to rain, the storm also brought higher than normal gusts of wind. As accidents piled up, including accidents with big rigs, which can extend across lanes, roads closed on the 101, 118 and 134 for periods of time. Throughout California, the rain and wind storm complicated the effects of recent devastating fires. Once land is burned, there is no longer vegetation to hold the land in place, and drenched earth can become a mudslide or flow of debris very easily. Unfortunately, debris flows and mudslides occurred all over the Southland, trapping motorists and endangering residents. Roads were closed and residents ordered to evacuate in parts of Malibu. Debris flows were reported in Orange and Riverside counties. Schools were closed and residents had to be evacuated. Mud and debris also were feared to contain potential health problems. State and local health officials urged residents to avoid beach water. Because of the runoff from fire debris and mudslides, the water could be filled with chemicals, bacteria, debris, trash, and other substances dangerous to public health. A mudslide covered several vehicles in San Bernardino County and caused CHP to close certain portions of Highway 38. In San Bernardino County’s Forest Falls, vehicles were trapped by a mudslide, prompting the California Highway Patrol to close Highway 38 between Sugar Pine Circle and Valley of the Falls Drive. In the Santa Barbara area, coin-sized hail was reported. Rain, wind, fire debris, and mudslides caused hundreds of car accidents in our area recently. 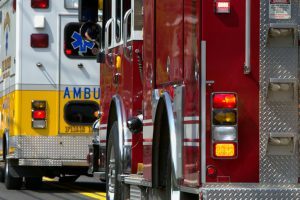 If you or someone close to you has been involved in one of these accidents in the Los Angeles area, attorneys at Ellis Law Corporation can help. We have been successfully fighting for the rights of people injured in car accidents in southern California for more than 20 years. You can trust in our track record: We win 99% of the cases we take on! Contact us today for a free appointment at 310-641-3335. “365 accidents reported in 4-hour period during rain-soaked morning commute in SoCal.” ABC7. November 29, 2018. https://abc7.com/traffic/365-accidents-reported-in-4-hour-period-during-socal-storm/4794475/. Associated Press. “The Latest: Mudslide Prompts Evacuation Order in Malibu.” S. News and World Report. November 29, 2018. https://www.usnews.com/news/best-states/california/articles/2018-11-29/the-latest-rain-causes-wrecks-on-los-angeles-area-freeways. Fry, Hannah and Alene Tchekmedyian. “Rain triggers debris flows as storm rolls across fire-scarred regions of California.” Los Angeles Times. November 29, 2018. https://www.usnews.com/news/best-states/california/articles/2018-11-29/the-latest-rain-causes-wrecks-on-los-angeles-area-freeways. Rice, Doyle. “It’s Raining in Los Angeles, and People Are Freaking Out!” November 29, 2018. https://www.usnews.com/news/best-states/california/articles/2018-11-29/the-latest-rain-causes-wrecks-on-los-angeles-area-freeways. According to the National Highway Traffic Safety Administration, speed was a factor in nearly one out of three teen driver fatalities in 2016. Teach teens that they do not need to keep up with traffic that is going too fast; it not only reduces the likelihood of an accident, but reduces the chances of getting a ticket that could affect driving record and insurance premiums. A teen driving with one other teen in the car is two and a half times more likely to be involved in a crash than a teen driving alone, and the chances of an accident increase dramatically with each additional teen you add to the vehicle. Teach your children that the vehicle is not the place to socialize so they should leave their friends at home. Teens are the most likely group to be killed by drunk driving; nearly 20% of teen drivers killed in 2016 had been drinking. Since the legal drinking age in all states is 21, there are far too many underage teens drinking. Many also do not understand the impairment caused by both prescription and illicit drugs. Discuss the physical risks of driving while impaired, including the danger to self and others, as well as the long-term consequences including criminal prosecution, negative driving record, lost scholarship opportunities, and serious reputation damage. According to a study recently published in the Journal of Adolescent Health, nearly 40% of teenagers surveyed admitted to sending text messages or emails from behind the wheel in the preceding month. 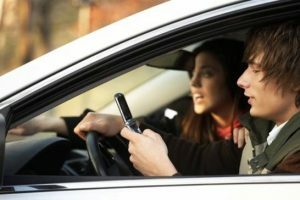 Even though texting while driving is illegal in California, about 32% of CA teenage drivers surveyed confirmed they drive while sending messages. Research shows that sending a text message takes the driver’s eyes off the road for an average of 4.6 seconds, which is long enough to drive the length of a football field. Unsurprisingly, texted makes a driver 23 times more likely to crash. Southern California is known for its sun, sand, and traffic. Modeling safe, distraction-free driving habits as you navigate the CA roadways is the number one way to ensure safe driving by your teens. If you are injured in an accident with a distracted driver, speak with a Los Angeles texting and driving accident lawyer at Ellis Injury Law today to find out about your rights. A major storm is expected to hit southern California on Thursday and Friday, causing heavy rainfall, mudslides, debris flows and flash flooding in areas that are burn-scarred from recent wildfires. This seriously inclement weather will create hazardous conditions on the roads in and around Los Angeles, and drivers are urged to take extra caution and only get behind the wheel if absolutely necessary. Some roads and bridges in Orange County may become impassable. Gusty winds of up to 50 mph are also expected to make driving difficult, especially for vehicles with high profiles. The heaviest rainfall is expected late Thursday morning and during the commute home on Thursday evening. In some areas, up to six inches of snow is also expected. Residents in areas hit by wildfires should also be on the lookout for debris-flow runout, which could be carrying hazardous materials that county and state officials have yet to remove from recently burned-out properties. If you or a loved one suffer injury or loss due to mudslides, debris flow, floods or motor vehicle accidents during periods of heavy rain in LA, Orange County, Ventura County, Riverside County or elsewhere in southern California, you may be eligible for monetary compensation. Call Ellis Law Corporation for a free case review! Mandatory evacuation orders have been issued for areas affected by the Woolsey Fire and Holy Fire, including parts of Riverside County’s Lake Elsinore. Further evacuation orders could be issued in areas like Malibu, where power outages, mudslides and floods are anticipated. Ever wonder what the most dangerous cars on the road are? Well, the Insurance Institute for Highway Safety (IIHS) knows. Every couple of years, they examine fatal accident data from the National Highway Traffic Safety Administration (NHTSA) and compare it with IHS Automotive data on registration. It then ranks cars by which models have the most fatalities per million registered vehicle years. A registered vehicle year is a single vehicle registered for 1 year. 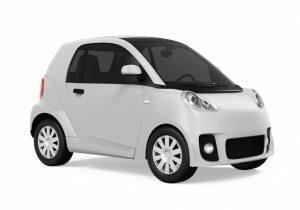 The most dangerous cars on the road are all smaller or mini cars, partly because if these cars collide with larger vehicles, people in the former are more likely to be hurt. Four-door minicars, for example, had a fatality rate of 87 per million registered vehicle years. Compare that with the fatality rate of large SUVs. Their fatality rate on average is 6 per million registered vehicle years. In other words, four-door minicars are more than 14 times more dangerous than SUVs. According to IIHS data, the most dangerous car on the road is the Hyundai Accent, with 104 deaths per million registered vehicle years. The second most dangerous car is the Kia Rio, with 102 deaths per million registered vehicle years. Bringing up third position is the Toyota Scion tC, which also is the only other car to have more than 100 fatalities per million registered vehicle year. Four makes and models have fatality rates of more than 80: the Chevrolet Spark, the Nissan Versa, the Ford Fiesta sedan, and the Kia Soul. The Nissan Sentra is the next most dangerous car, with a fatality rate of 72. While this can’t be called safe, it is notably safer than the first 7 most dangerous cars. The Ford Fiesta, with a fatality rate of 68, is the ninth most dangerous car, while the Volkswagen Golf rounds out the 10 most dangerous list, with a fatality rate of 63. The data were compiled from the beginning of 2012 to year-end 2015 and mark the most recent time that the IIHS has compiled this data. Looking at the fatality rates for these makes and models can be a grim experience. It illustrates how dangerous it can be on southern California roads. 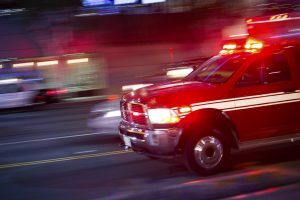 If you or a loved one has been injured or killed in a car accident in the Los Angeles area, call the Ellis Law Firm today. We have been litigating and winning cases concerning car accidents for more than 20 years. Our number is 310-641-3335. The first consultation with a Los Angeles car wreck lawyer is complimentary. You never owe us any money unless we win your case! Late last week, rapper Tyler the Creator dramatically demonstrated the danger of driving while drowsy when he totaled his new Tesla. The crash took place late Wednesday, October 24, 2018. Luckily no one was hurt in the serious crash, but another vehicle also sustained damage. The 27-year-old rapper, record producer, and music video director, whose given name is Tyler Okonma, crashed his Tesla Model X into a parked car near the campus of UCLA. He reported that he hit the parked car, a Honda CR-V, with such force that it was launched 50 feet down the road. Tyler reported that he left his information for the owner of the Honda. There have been no arrests reported. Shortly after the accident, Tyler posted a since-deleted selfie on Instagram in which he explained that he usually goes to sleep at 10:30 at night and wakes up at 7 a.m. every morning but the night of the crash, he stayed up “super late” to finish working on some music and dozed off for a few seconds while driving home. He noted that he did not have a scratch on him. The CDC had identified drowsy driving as a serious risk for drivers’ safety and the safety of others on the road. According to the National Highway Traffic Safety Administration’s conservative estimates, each year from 2005 to 2009, drowsy drivers caused 83,00 crashes, 37,000 of which involved injuries, and 886 of which involved fatalities. However, it noted that up to 6,000 fatal crashes each year may actually be caused by drowsy drivers. The problem is common among adults; of those age 18 and older who were surveyed, approximately 1 out of 25 admitted that they had fallen asleep behind the wheel during the past 30 days. Falling asleep of course prevents a driver from navigating. But even driving drowsy can slow reaction time and impair decision-making. Always pull off the road if you experience signs of drowsy driving, like drifting into another lane, missing an exit, or hitting a rumble strip. California follows a negligence-based system. This means a driver whose carelessness or recklessness causes your accident will be liable for the damages it causes. The can include the cost of medical bills, lost wages, lost companionship, pain and suffering, and lost property. 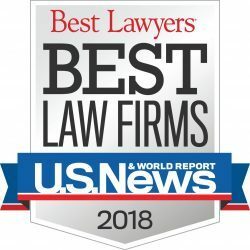 If you have been involved in a drowsy driver accident in Southern California, call today to speak with a Los Angeles drowsy driving accident attorney at Ellis Injury Law. We are committed to helping injury victims recover from those responsible. Call today to schedule a free consultation. The average American sleeps 6.8 hours per night, and 40% of Americans get fewer than six hours of sleep each night. That’s according to Forbes, which points out that America wasn’t always so sleep deprived. In 1910, nine hours a night was the average sleep time for Americans. But with long work schedules, 24/7 connectivity, and stress galore, America has become a nation of sleep-deprived folks. That’s bad news for anyone who drives or rides on the roadways. It’s been estimated that up to 6,000 fatal car accidents each year are caused by drowsy drivers. It’s important to note that a drowsy driver doesn’t have to fall asleep behind the wheel to cause an accident. Drowsiness decreases reaction time and alertness, and impairs judgment—all of which are major contributors to crashes. A car crash can happen in a matter of mere seconds. Even a momentary lapse in alertness can be catastrophic. If that doesn’t convince you to get a full night’s sleep, consider the latest study in the medical journal SLEEP. It presents research that indicates people who sleep for fewer than seven hours a night have an increased risk of causing an accident. Drivers who sleep for six, five, or four hours have a 1.3, 1.9, or 2.9 times the risk of being responsible for a crash, respectively. The researchers also found that drivers who slept for fewer than four hours had a higher risk of getting into a single-car crash. While single-car crashes don’t harm other drivers on the road, these are the most likely type to result in debilitating injuries and death. Use the buddy system: Pull over every two hours and switch drivers. The non-driver can take a nap. Plan your trip wisely: Avoid driving between midnight and 6:00 am. Keep the car’s temperature cool. Listen to a comedy podcast instead of rhythmical tunes. If you find your eyelids getting heavy, no amount of laughter, cold water, or chewing gum will help. Pull over—you just might save a life. No matter how careful you are behind the wheel, you can’t control the behaviors of other drivers. And if you’ve been struck by a drowsy driver, you need legal guidance you can rely on. 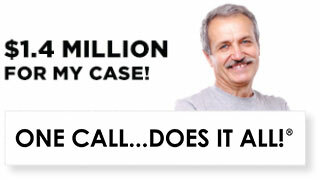 Turn to the Los Angeles car crash lawyers at Ellis Injury Law. During our years of serving the southern California region, we’ve recovered over $350 million in settlements for our clients. Our attorneys and support staff are committed to protecting your legal rights in and out of the courtroom. Call us today to request a free consultation.